Individuals at risk for diabetes can cut their risk for heart attack or stroke by 8% by taking an extra 2,000 steps a day—equivalent to about 20 minutes of moderately paced walking—according to a study of more than 9,000 adults performed by researchers at the University of Leicester and published in the Lancet. "Two thousand steps seemed to be the magic number," TIME reported ("How Many Steps Does it Take to Avoid a Heart Attack? Researchers Find Out" - December 19, 2013). 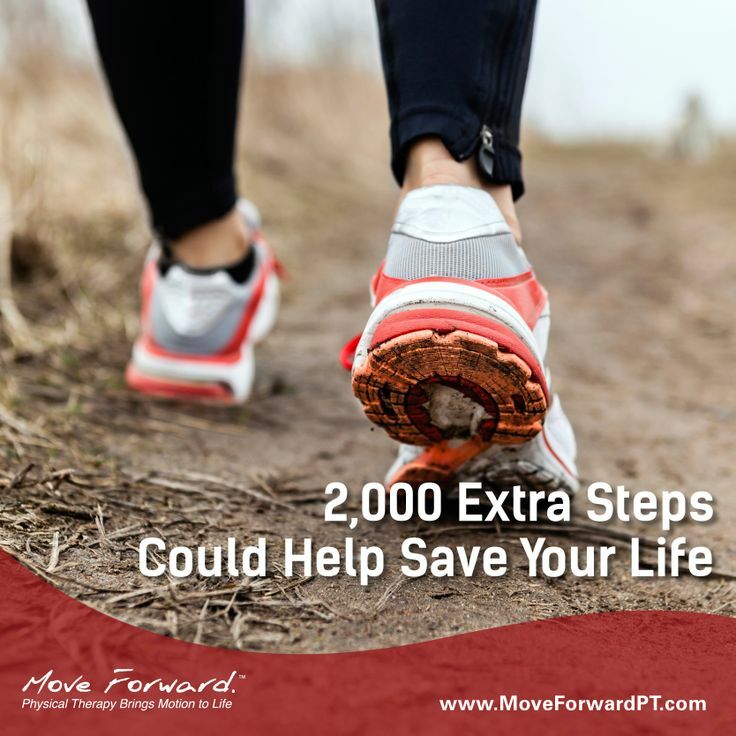 "Even before the study began, for every 2,000 steps a day one participant tended to walk on average compared to another, he enjoyed a 10% lower rate of heart problems by the end of the year."